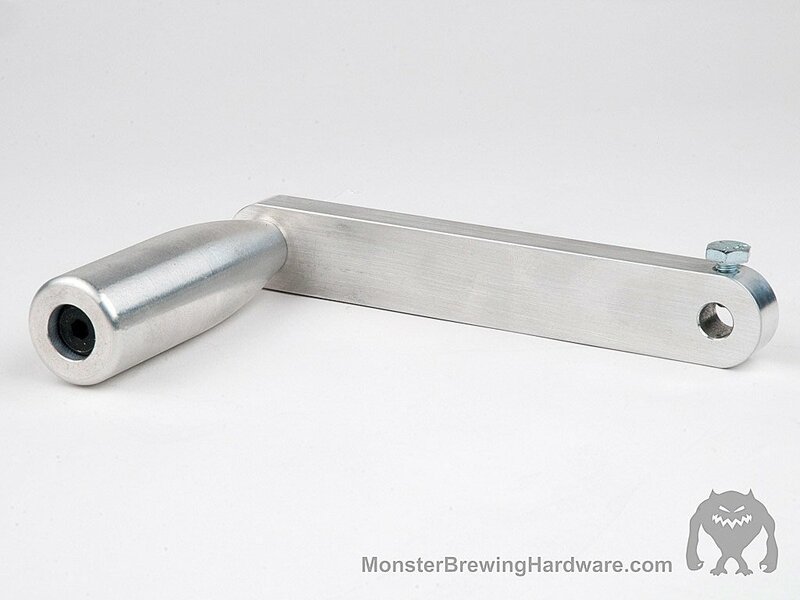 Introducing the Monster Crank Handle, our newest accessory for the Monster Mill. Many folks have expressed an interest in a backup plan should their electric drill suddenly let the magic smoke out. 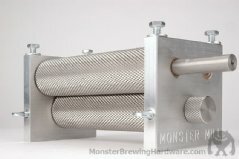 To make sure you can brew completely without power should it become necessary, we now offer a hand operated handle for our mills. 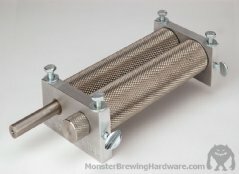 Especially for the brewer that wants to be more intimate with the grinding of their grist, and do a little work, rather than letting a drill motor have all the fun. Just like ice cream that is hand cranked tastes a lot better for some reason, your beer will be richer, have better head, and will just seem better than ever when you have to work for it. Our crank handle has an aluminum arm, and a brushed aluminum tapered handle that spins freely and is oh so smooth on your hands. We use top notch hardware to hold the whole assembly together, as well as provide a set screw to hold the handle securely on all of our standard 3/8" drive shafts. This handle fits all of our mills with standard 3/8â€ drive shafts, and is NOT available for mills with 1/2" shafts (all Pro series mills). Please note that you may need to widen one flat on your mill driveshaft when using the crank handle. The flats are designed for a drill chuck, rather than the handle setscrew. 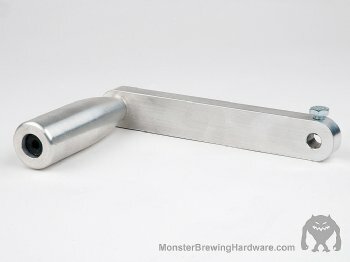 This is easily accomplished using a good metal file with the drive roller held firmly in your bench vice. Aluminum art - Super durable!